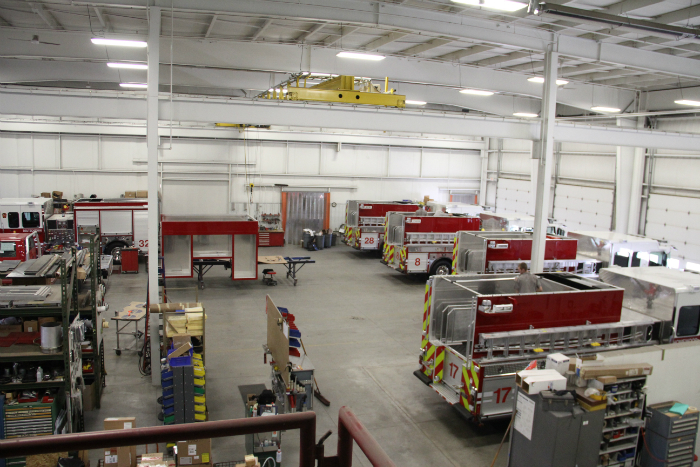 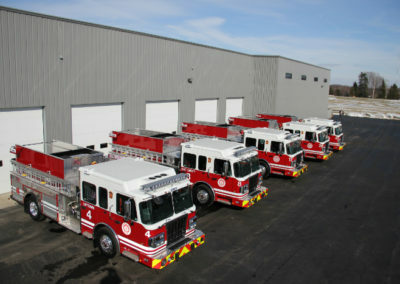 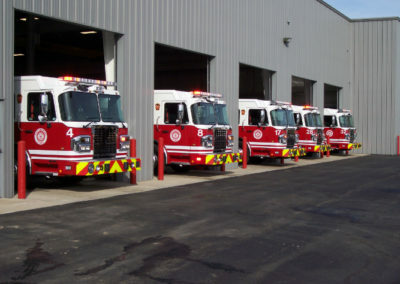 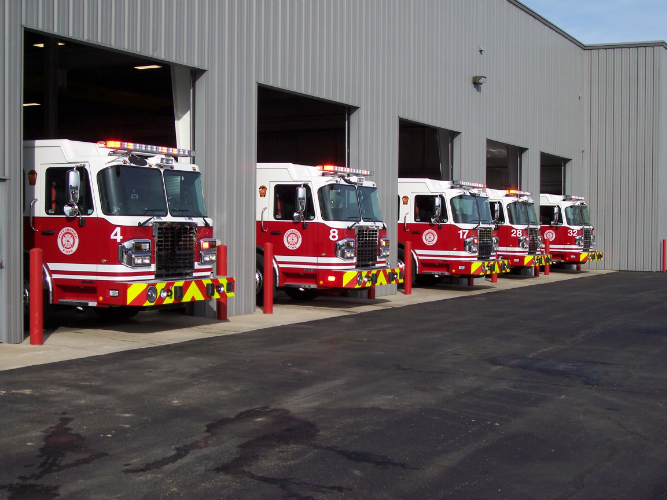 The City of Pittsburgh added 5 more Spencer Manufacturing Side Mount Pumpers to their fleet. 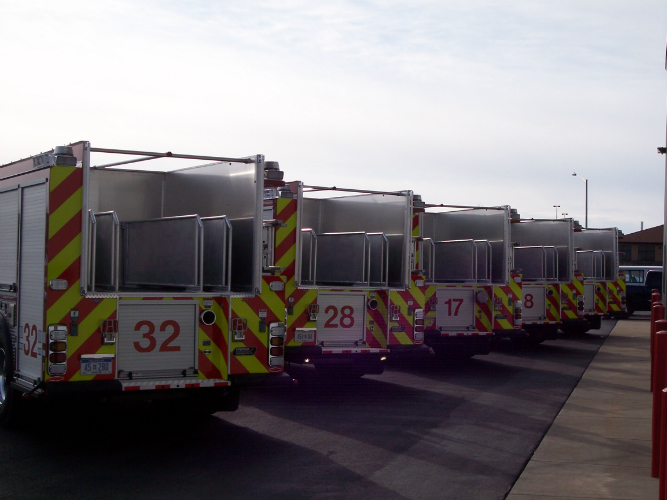 This Spencer SM-500 is an excellent example of a “big city” apparatus, packed with big power in a little package. 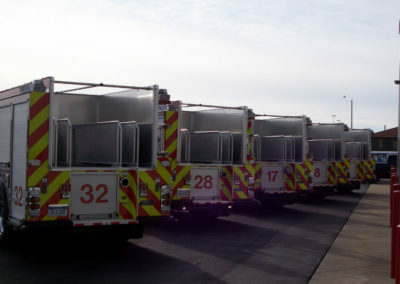 This truck is only 28′ long bumper to bumper and 9.5′ tall, which allows this fire department to maneuver easily within the city limits. 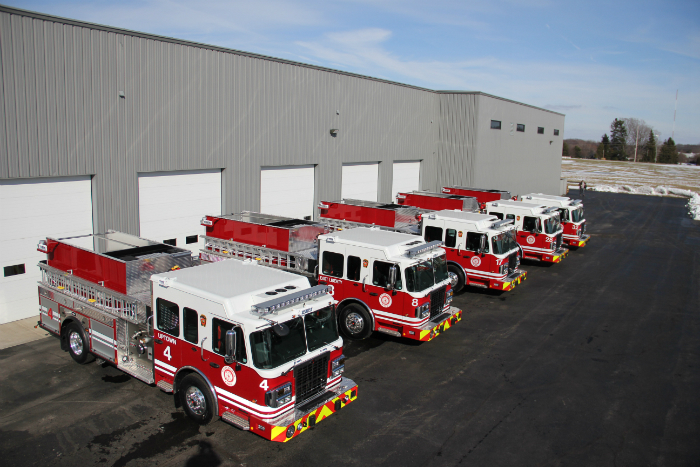 With a Hale Q2, 2-Stage 2000 GPM pump, supplying 11 discharges in a 47″ wide pump house, it would be difficult to pack any more firefighting power into this rig. 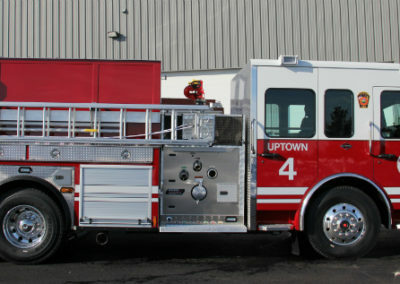 To take on the notorious hills of Pennsylvania, the Spartan Metro Star chassis is powered by a Cummins ISL 450 hp engine and Allison 3000 EVP transmission. 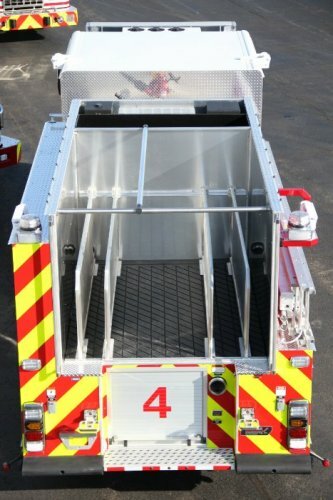 The cab interior is loaded with custom features like a 2-man bench seat with storage below, and heavy duty diamond plate flooring with Sparliner. The front of the cab showcases a 14″ heavy-duty bumper, with a hosewell for 100′ of 1-3/4″ pre-connected jump line, as well as recessed light housings on each side. 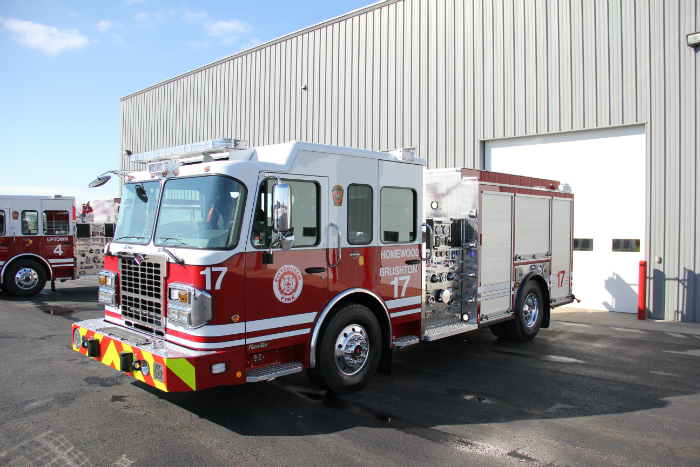 This rig is also equipped with an 8kw Smart Power generator, a Class 1 Foam System with EZ-Fill, and 500 Gallon APR Poly booster tank. 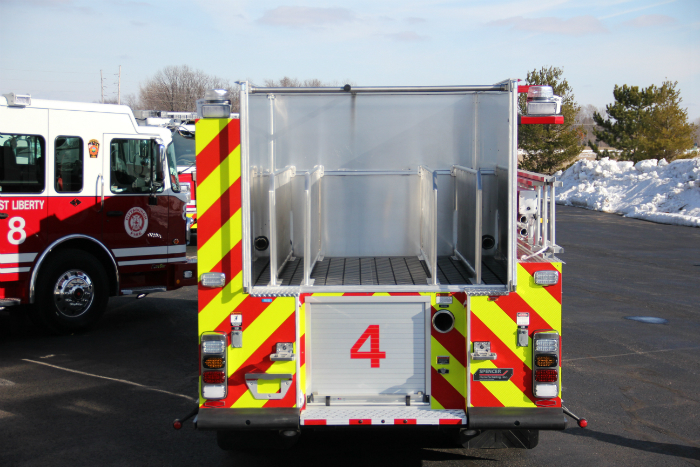 With the growing interest in a low hosebed design, which is lighted with a 60″ ROM V3 LED strip light, firemen are able to easily and safely deploy and load their pre-connected hosebed discharges. 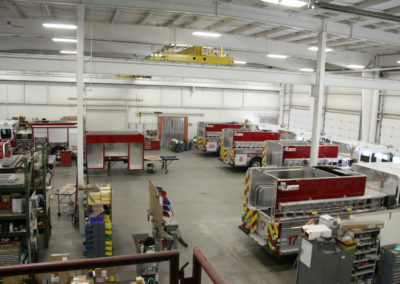 The multiplex electrical system is powered by Weldon with a Whelen LED light package. 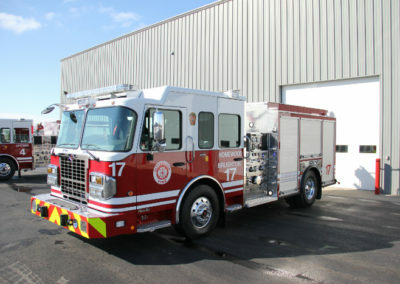 This is another great example of a custom built truck that meets the specific needs of a special fire department.